As the Patriots coach walked off the MetLife Stadium field, he threw his arm around his son, Stephen, and added an exclamation mark to the Patriots' 37-16 victory over the Jets. "Thirty-seven points on the best defense in the league, s—- my d—-," the Patriots coach said in celebration. Belichick was asked about the comment this morning on WFAN. "Any conversations I had privately I'll keep private," he said. 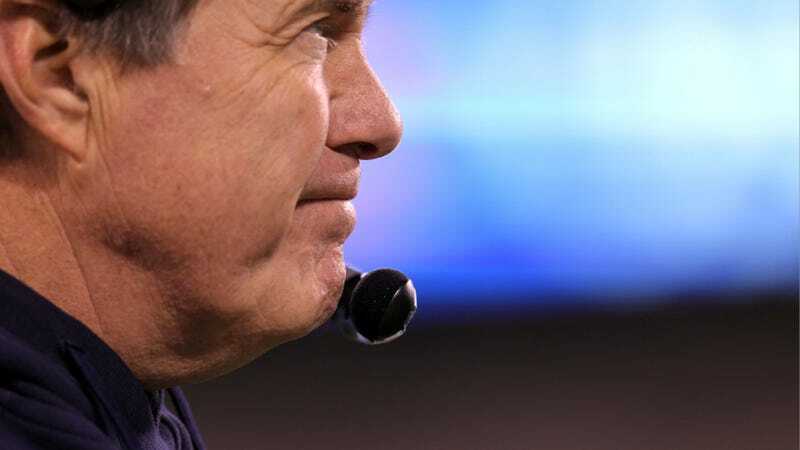 Belichick has probably earned his Rex Ryan moment, although, to be fair, seven of those points were scored on the Jets' offense.